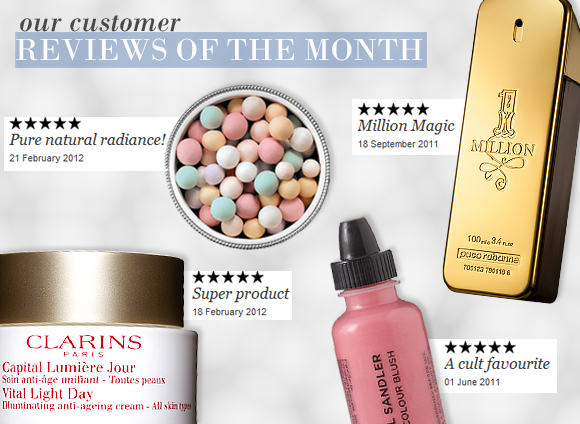 Below are our favourite reviews for November. Review are picked for being helpful, insightful or just really interesting. Each reviewer will receive a £20 Escentual gift voucher! For your chance to win, simply review your past purchases. “I have been a loyal user, for many years and at much expensive, of a Clinique for Men skin product. Having sensitive skin and wet shaving every day I have needed to use a product that not only calmed my skin and shaving rash but also moisturised without being greasy and excessive. I have now found that alternative product and being converted – saving about £10 a time. Mod daily face balm does everything I need it to, for great value. What’s more is that the product size makes it long lasting and value for money compared to alternative brands. It is light, easy to apply and has a pleasant scent which is nice first thing in the morning on these dark winters days. The packaging even looks good and “manly” next to my wife’s array of products in the bathroom cabinet. This not only relieved my scalp but has turned it around 360% – It;s as if I never had any problems to begin with. I asked my boyfriend to periodically inspect my scalp – when we started on day 1 he could see pink/redish inflamed and blotchy patches, lots of flaky yellow/white flakes and nevermind the annoying incessant itching and scratching. When I first washed with this shampoo I could already feel the relief. After a week the redness had disappeared and itchyness subsided. Now I wash my hair every 2-3 days and have none of the above symptoms. To top it up my hair looks shiny and healthy (which is an achievement on its own as I have mixed race (afro style hair) that gets relaxed every 2 months. This is a true masterpiece in perfumery! This has rave reviews and for good reason, its a delicious fragrance. Even though it leans to the ladies its a unisex scent so its up for anyone. I’d recommend this for ages 25+. Its not a clubbing scent, more a relaxing sense massager! To imagine what it smells like, picture standing in a warm country side surrounded by hay, tobacco and spices. There is also a syrup essence to it aswell which adds to the sweetness. This entry was posted on Tuesday, November 1st, 2011 at 3:32 pm and is filed under Reviews of the Month, Tried & Tested. You can follow any responses to this entry through the RSS 2.0 feed. You can skip to the end and leave a response. Pinging is currently not allowed.